The Umpqua River in Oregon has had a long lighthouse history. Early explorers and surveyors of the Oregon territory had identified the Umpqua as a possible entryway to vast timber resources. Speculators bought up land along the river valley and agitated for one of the early lights on the west coast. Congress responded with a $15,000 appropriation in August 1852 and 33 acres of land were set aside for a lighthouse reservation. 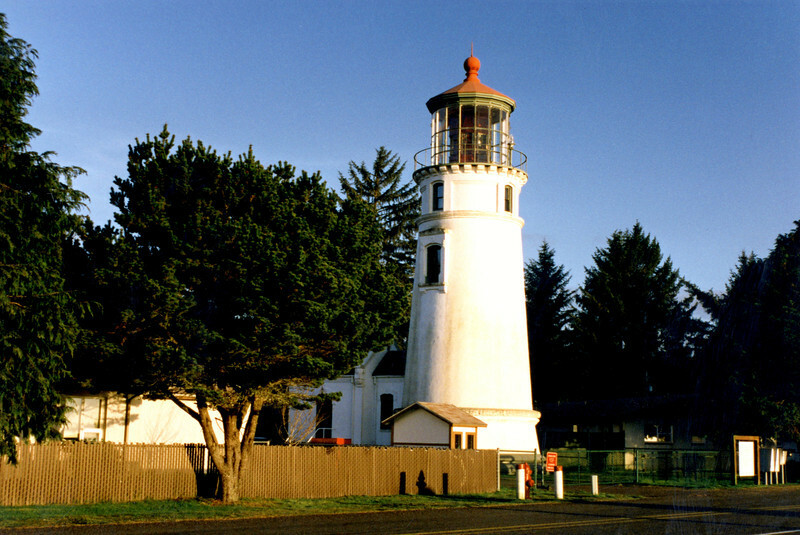 Construction of the lighthouse was delayed as other locations received a higher priority and then the ship loaded with supplies was lost on the Washington coast. Finally construction began in 1855 at the river entrance. The site selected for the tower was a sandy spot at the rivers edge. Construction proceeded slowly due to friction with the local Indians who were stealing the workers tools.